Based on the worsening of what we’ve come to call the “obesity epidemic” in Western societies, it seems that folks need a drastic solution for getting and staying fit. Forget all of those touchy-feely inspirational approaches. What we need now is a really big, really scary robot trainer. 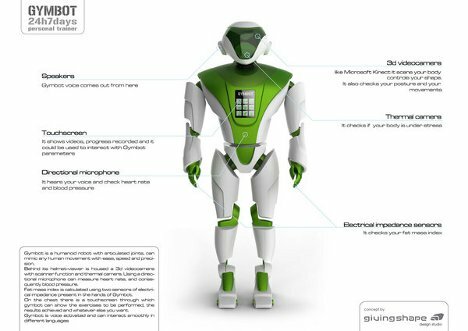 This guy is called Gymbot, and its creator thinks that it might be an indispensable weight loss tool in the year 2020. 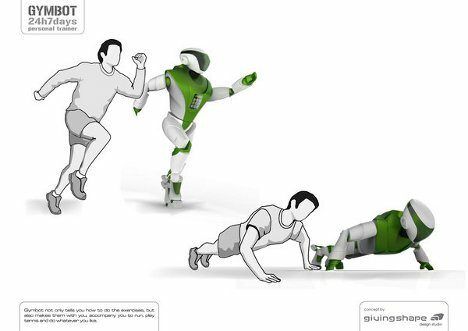 Gymbot was dreamed up by designer Max Battaglia to help whip puny human softbodies into shape. 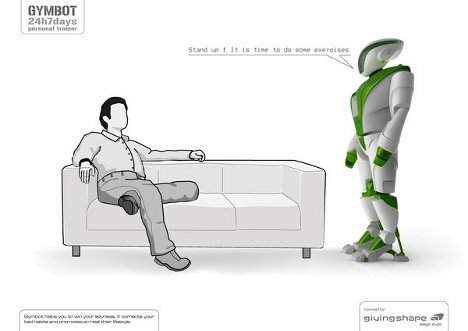 The conceptual ‘bot would stay in the user’s home 24 hours a day to coach the human owner in matters of healthy eating and an active lifestyle. 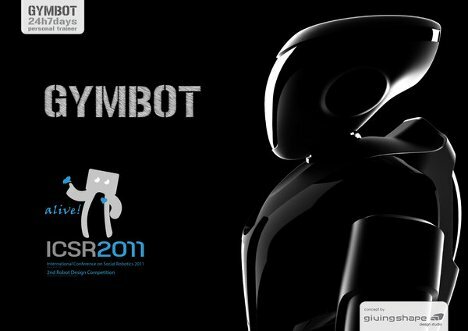 Sensors in the Gymbot analyze the user’s body composition so that the robot can give advice on how to get healthier. According to Battaglia, the Gymbot is meant to motivate overweight people who realize they have a problem but do not have the motivation to change their lifestyles. And presumably, this problem is solved when you have a scary-looking humanoid standing over you telling you to stand up and start exercising. But the Gymbot isn’t all about fear, intimidation and slightly terrifying orders. Like any good trainer, it gives gentle guidance, too. It will demonstrate the correct way to perform exercises and give pointers when it sees incorrect form being used. It will even do the exercises along with you, giving you the benefit of the “buddy system” while you work off yesterday’s double cheeseburger. See more in Unbuilt Concepts or under Technology. February, 2012.